As we move forward this spring and prepare for the summer, I send each of you blessings for success in all you do. When the going gets tough, remember to say... "I will arise" just like Richard Le Gallienne suggests in the prayer above. 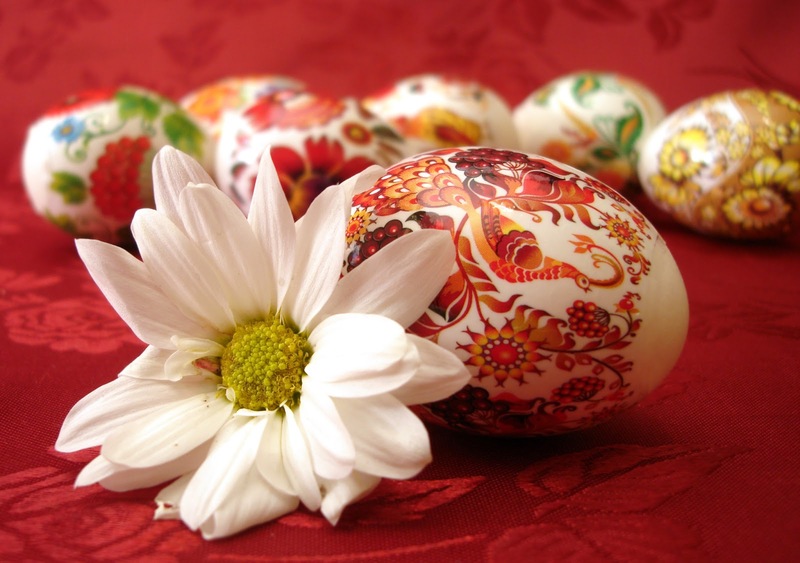 Some Food for Thought: Do you have memories of Easter? What is your best memory of it? And your worst? What do you think of ll he other ways it is celebrated: Easter bunny, egg hunt etc?Take a moment to contemplate what Easter means to you? Love and Peace in 2013. PHOTO CREDITS/ATTRIBUTIONS: All Photographs: © Egal | Stock Free Images, © Invisibleviva | Stock Free Images Or via Wikipedia, Flickr or my personal collection. I also love the sense of renewal that comes with the celebration. Happy Easter, Eliz! Beautiful haikus on Easter and with matching pictures with glorious colors! Easter is our assurance that we were forgiven. Easter celebration is definitely nice even for adults. I just want to ask if you are the one making the haiku. I like the designs of the eggs. I bet it really took time to finish that one. Wow...cutiness naman ng pics. Happy Easter, too! We failed to do egg hunt though. Pambata namana na kasi yun. hahaha. Oh I didn't see this before. I love the intricate art on the eggs of the first photo. Beautiful. Easter is indeed time for renewal. Jesus made it possible for us. Beautiful colors. Lively and bright. Very Easter. This is probably one of the most important things that we celebrate...it is the one that gives us hope and eternity. I love the pattern on the egg! Easter is really time to spiritually rejoice! I mostly remember Easters with my brother and stuffed bunnies, candy and baskets. I remember two of them were bad since my brother died near Easter and so did my uncle. Happy Easter to you and your family. I hope you have a wonderful holiday with your loved ones. You are such a creative soul. I love all the beautiful poetry, photography, and general positivity that you bring to us. Thank you! I have so many Easter memories. It was one of my favorite with my mom and grandparents who are no longer with us. I miss those days, so much! Thank you for the reminder for the true reason for this Easter holiday, which is the fact that Christ rose from the dead for us. Haiku's are so beautiful, these are great! 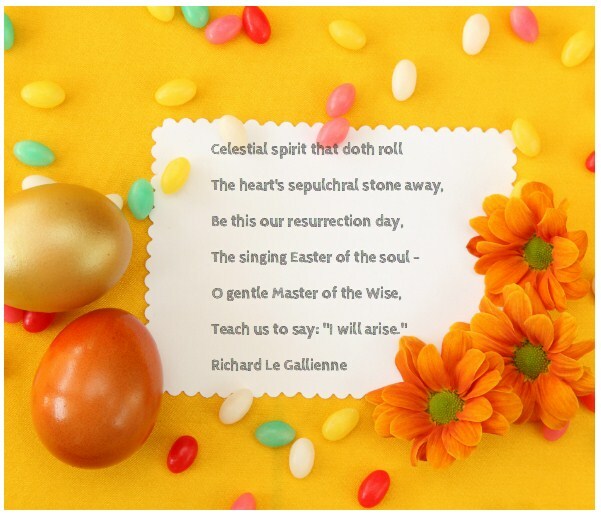 Beautiful haikus and a great reminder of what Easter is all about. Haiku is an amazing form, I used it to start to woo my wife when we started dating. The symbolism of rebirth in spring is such a universal, powerful thing. Easter always brings back childhood memories. It was that Sunday of the year that I always looked forward to. Back then when there was no cable, we were stuck with TV programs that weren't cartoons and since my Mom is very religious and observes Lenten practices, we have to follow. We abstain from meat and when we're older, we also practiced fasting. Unlike other families who go out of town or out of the country during Holy Week, we were the ones who usually stay behind. I bet you now understand why I'd always look forward to Easter. Now that I'm a grown-up, of course, I understand what the essence of Easter is. I'm a grown-up but I still look forward to Easter. Things changed a bit, but my family still observes the Lenten practices we got accustomed to. And, more than observing the practices, I value more what Easter stands for. That could be the coolest egg that I have ever seen! Thanks for posting. Love these haikus. Easter means a lot to me because of the memories I have of egg hunts with my Dad. I wish my girls had gotten to one this year, but they both had a bug! These are beautiful Haiku's. I hope everyone has a great Easter weekend. Love it!! He is risen!! That is such a wonderful thing to celebrate. I love they way you expressed it in this article. I love Haikus! PS Your Easter Eggs are super pretty too! Happy Easter! I hope everyone has a fantastic Easter weekend. I love to read Haiku's. Love the eggs! Happy Easter to you and yours! Any idea what this memcache issue means?